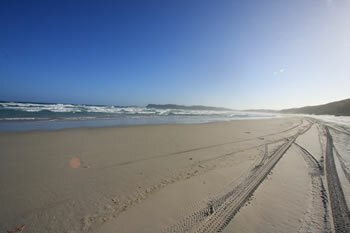 4 Wheel Driving and off-road driving on the south coast is great! 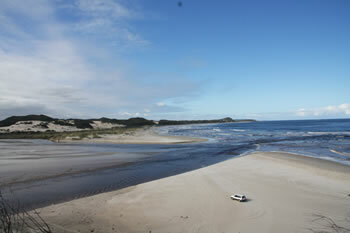 The Rainbow Coast offers much to the 4 Wheel Driving enthusiast and casual four-wheel driver. 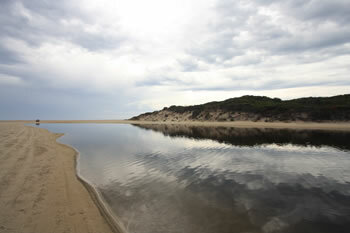 There are many 4wd tracks and trails throughout the south coast. The Department of Environment and conservation states on their website: "4WD vehicle owners and drivers who access public lands have a responsibility or 'duty of care' to help protect Western Australia's flora, fauna and natural landscapes so that future generations of users will be able to enjoy what we now take for granted." It is important to remember that 4 Wheel Driving can be dangerous to the inexperienced driver. Ensure you have taken the time and effort to thoroughly plan your adventure. If you are planning to head to remote areas (for instance Bornholm Beach at West Cape Howe) it is important to notify someone of your trip and your estimated time of return. The best practices we've found can be accessed on the DEC's website: Four Wheel Driving Tips for Trips. Where to 4 Wheel Drive? 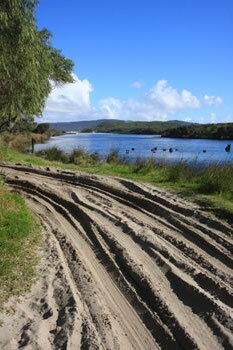 Some of the most accessible Four Wheel Driving tracks include Torbay Inlet (near Albany), Peaceful Bay (towards Walpole), and William Bay National Park's Mazzoletti Beach. One of the most secluded and dramatic is Boat Harbour. We recommend stopping at the local Visitors Centres to see which tracks are open and whether your vehicle is equipped to manage such trails. If in doubt, DONT. Getting bogged is NOT fun. Enjoy your recreaction and respect the rights of others. Dept of Environment and Conservation: The DEC has very useful information on Four Wheel Driving in Western Australia including links to Clubs and Associations, Policy on Public Acess and the best Tips we've found anywhere.